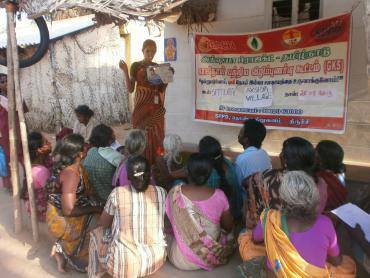 Around six Gramha Kalyan Samiti (GKS) programmes to 79 members and four community programmes to around 160 members was carried out emphasizing the importance on T.B awareness. 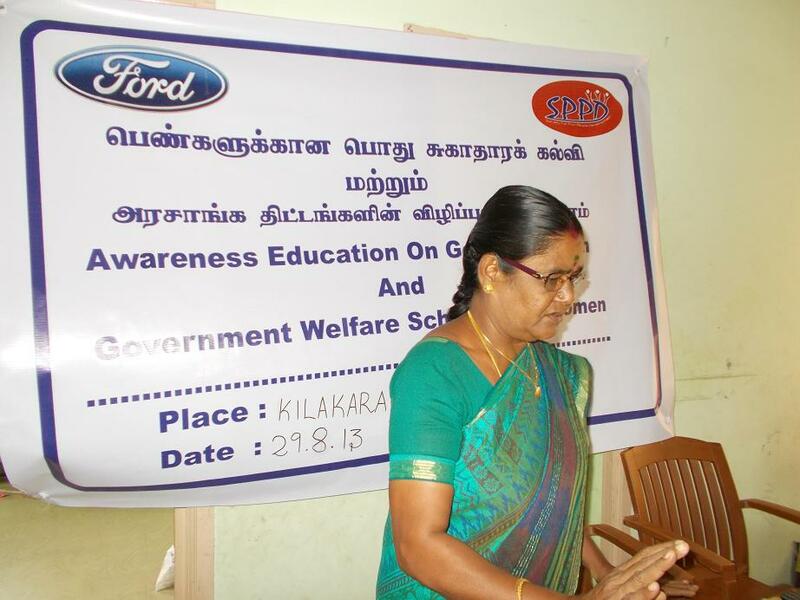 General Health Awareness Programme to trainees (tailoring unit) supported by Ford India and Global Giving was held at Permanaur and Keelakaranai centers, Kancheepuram District, Tamilnadu, India. After a month’s vacation our Evening Study Centres (ESC) started off its regular activities with full zeal from June 2013. We are glad to note that we have extended our ECS in TWO new villages. 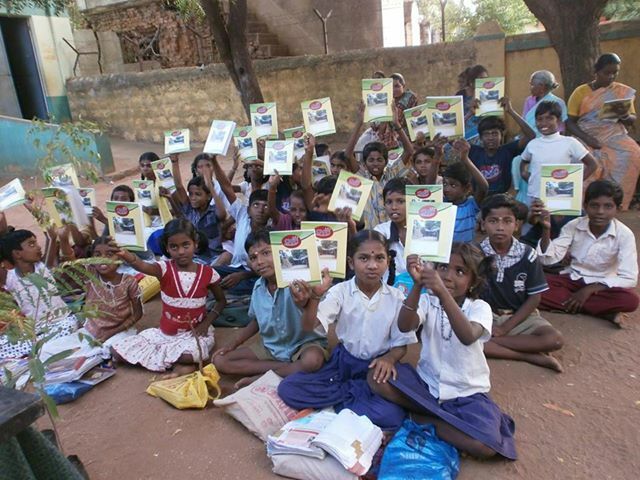 Students received the gift of promise pack which consists of basic school essentials such as school bag, notebooks, uniform and stationery. 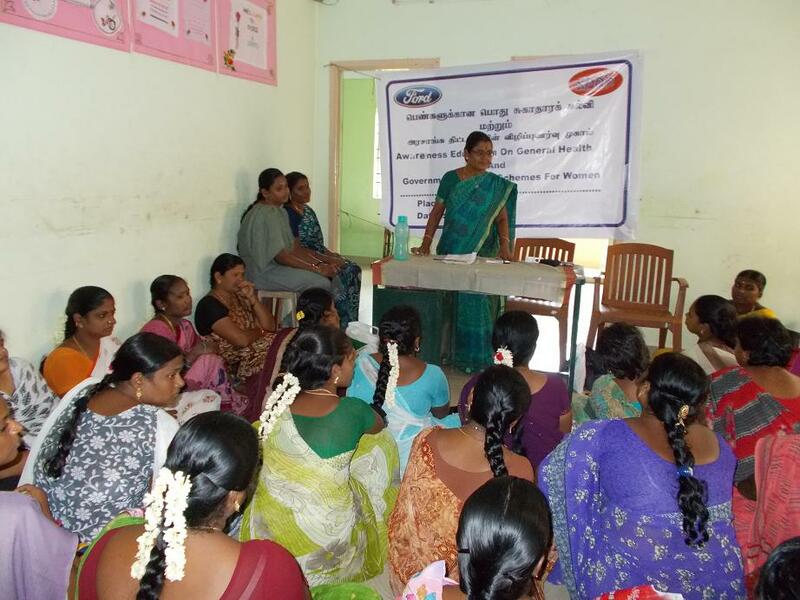 The objective of providing free vocational training in tailoring to 120 women has been successfully completed with the support of Ford Motors, India and Global Giving. The positive impact of this project has shifted us to the next step of providing the same training to 250 beneficiaries in two more centers in Kancheepuram District. 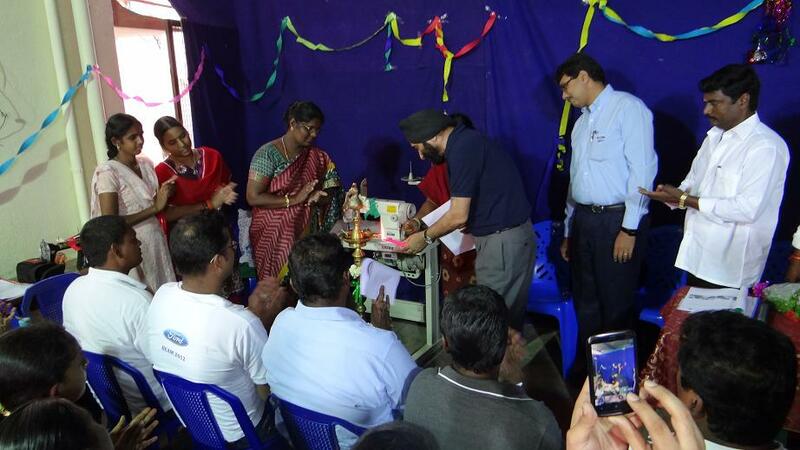 The inaugural of our project ‘Operation Better World’ providing free skill training in tailoring to 250 women with the support of FORD INDIA was held in a grand manner at Peramanur, Chennai. Mr.Johindar Singh-Managing Director, Mr.Tom-Executive Director, Mr.Senthilkumar – Vice President from FORD INDIA and Mr.MGK Gopikannan, Chennai honoured the event.